Creatine is the most widely researched supplement, time and time again it has been shown supplementing with creatine results in increased strength and muscle mass. Creatine is one of the most popular supplements with weight trainers and athletes. Creatine will help you build lean muscle mass, increase strength, boost energy levels during workouts, and aid muscle recovery. Creatine Monohydrate is the original form of Creatine, however now comes in many different forms such as, effervescent creatine and intra-workout creatine. 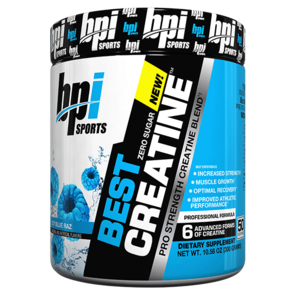 Buy Creatine Supplements at the best prices from Sprint Fit and receive fast shipping New Zealand wide.